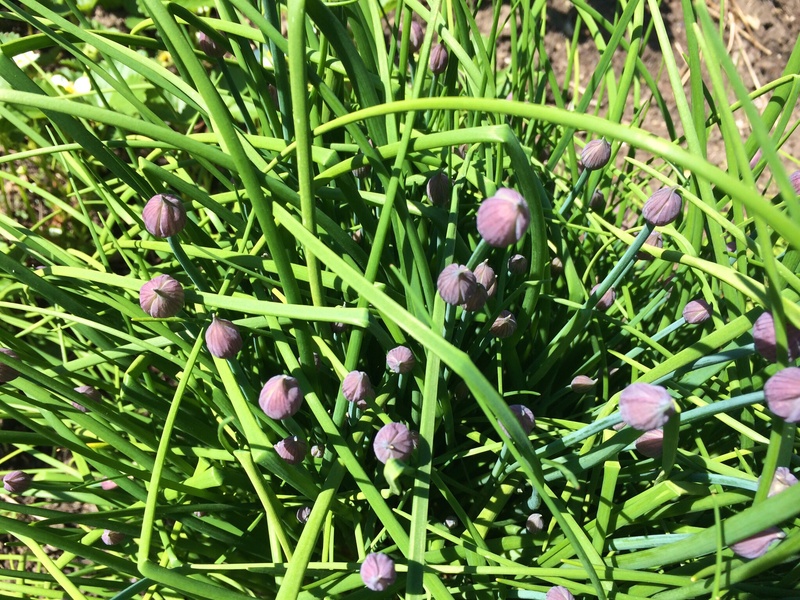 This is the time of year when the chives in my herb garden are busting out with blossoms. Before they pop, I head out every few days and snip the larger ones off the chive plants with about 3 inches of the green stem, wrap them in freezer bags and freeze them. 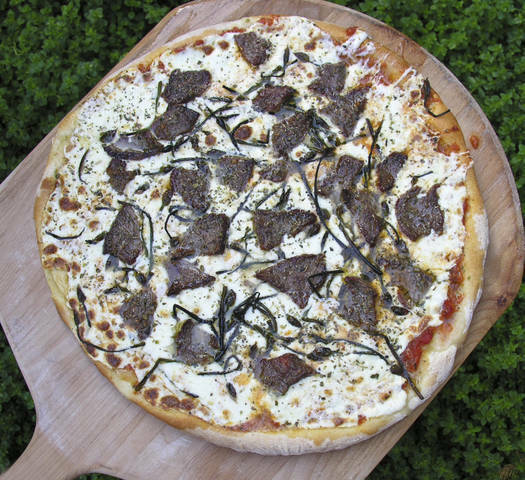 I use those blossoms over the course of the year on a variety of dishes, but they really shine on my signature marinated beef and chive blossom pizza. I just take a packet of chive blossoms out of the freezer, and sauté them lightly in olive oil and salt and pepper, then sprinkle them on the pizza before baking. Pick ’em and freeze ’em in May! 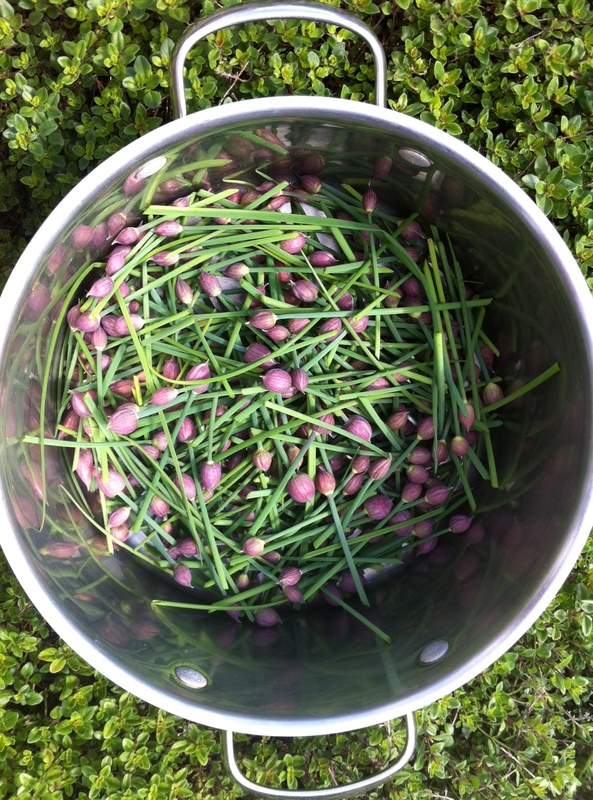 Chive blossoms not only add great flavor, but they look cool on the plate, too. I’ll add them as a side to almost any meat dish, or chop them after sauteing and sprinkle them in rice or quinoa.